Gingerbread activities are almost synonymous with the holiday season. Think of all of the gingerbread men baked over the years and all the creativity that goes into making and decorating gingerbread houses! We love to read different versions of the Gingerbread Man story (see the video of our favorites HERE) and then follow up with some fun gingerbread centers in our classroom. 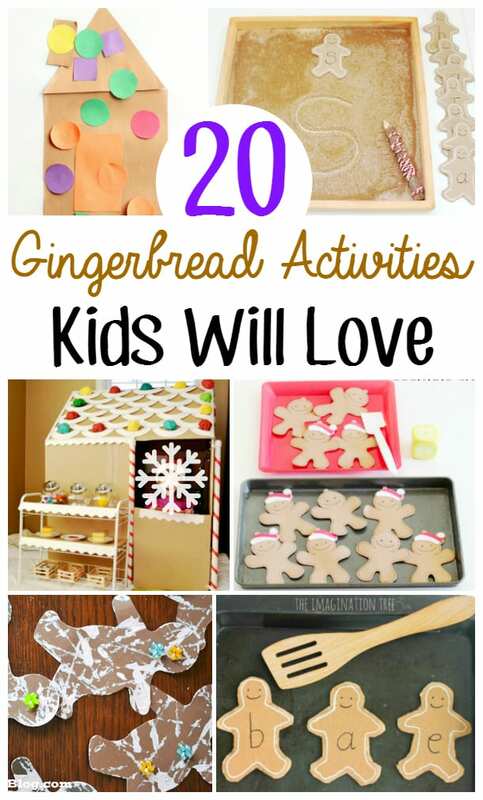 This Christmas season, invite your children to have a bunch of fun with gingerbread themed activities. Try one of these craft projects where kids get to let their artistic side out, decorating all sorts of gingerbread boys and girls. 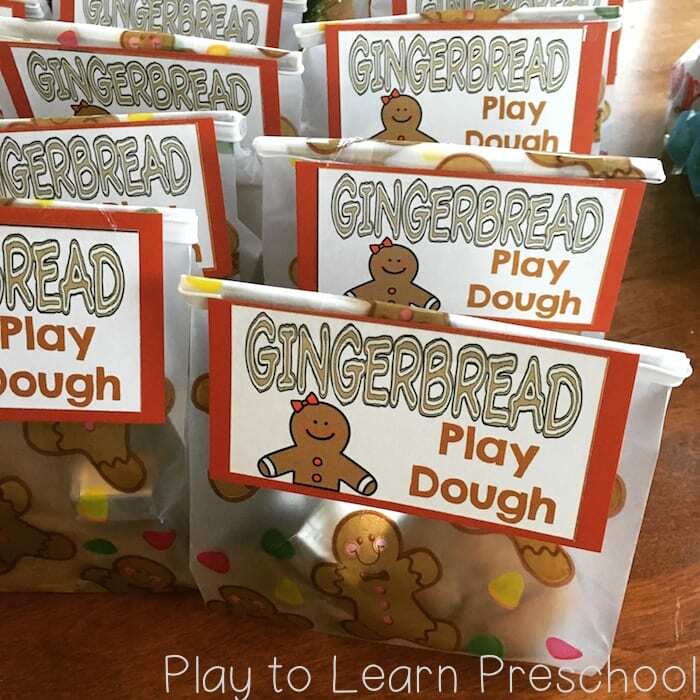 There are also educational gingerbread activities that involve everything from learning shapes, to literacy and learning to write letters. My personal favorite activity is the life-size gingerbread house. Think of how much fun your children will have playing pretend with this fun festive cardboard house! What is your favorite way to play with gingerbread? Gingerbread is my favorite theme! I love all the photos and ideas here. Thank you so much!